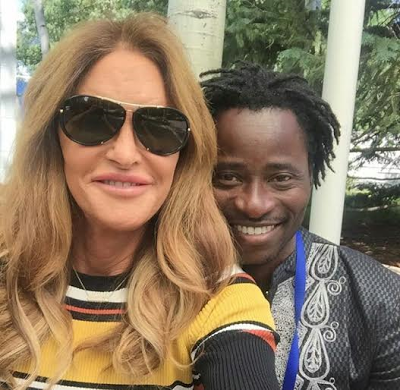 Nigerian gay rights activist ‎, Bisi Alimi, met and had a chat with Transgender Caitlyn Jenner at the Aspen Ideas conference in Colorado, USA yesterday June 24. 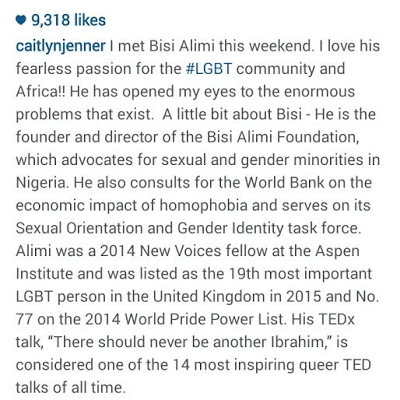 Caitlyn shared a selfie of them both via IG and in a video shared by Bisi minutes ago, addressed the issue of her E! reality show being pulled off air in Africa. Watch what she had to say after the cut.